Who 'owns' the care of a person at home? Mr Chu, a case manager, is visiting Mdm Kwok. The community-based non-profit organisation that employs him runs a senior activity centre on the ground level of Mdm Kwok’s HDB block. A month ago, the centre’s staff noticed that their client was not turning up for activities. When Mr Chu visited Mdm Kwok, he realised she had an unhealed wound on her foot because of diabetes, so he accompanied her to the local polyclinic for treatment. He now visits her twice a week and has also arranged for volunteer befrienders to see her each week. Mdm Kwok’s one-room flat is filled with boxes, newspapers, magazines, and old clothes. The room smells of mildew, stale food, and urine. Other than the sofa that also serves as her bed, there is nowhere to sit. In one corner, a small table holds a tea set, a tea canister, and a kettle. A formal photo of a young woman, circa 1900, hangs above the table. ‘May I offer you some tea, Mr Chu?’ Mdm Kwok asks. ‘My grandmother brought this tea set from China. She had that photo taken when she arrived here. She taught me how to make tea properly… in fact, she taught me everything I can remember. After Mr Chu finishes his home visits, he meets with his programme manager: ‘I saw Mdm Kwok today. She’s my favourite client, but she doesn’t listen to anything I say. She’s not managing her diabetes and hypertension well, and she has an ulcer on her foot that isn’t healing properly. She’s got her antibiotics and other prescriptions all jumbled together with traditional medicines. Her place is so cluttered – I worry that her kettle is going to spark a fire with all those papers stacked up. But the neighbours don’t seem to mind – you know, that ‘kampung spirit’? They’re survivors. They do her shopping and get her herbal tonics. She’s independent – no family except for a niece in Johor. She’s not interested in moving there. Maybe she thinks she’ll just wind up in a nursing home if she went. *Nonya kuehs are local cakes in Singapore, unique to an ethnic group known as the Peranakans or Straits Chinese. Mdm Kwok is a strong-willed, independent woman who appears to know precisely what she wants in her later years. From her conversation with the social worker, Mr Chu, her values appear to be fixed and she can express them clearly. But Mdm Kwok is also getting older and there is evidence that she is having difficulties with her daily activities, failing to remember to take her prescribed medication, and struggling to remain clean and safe in her home. An ethical challenge in this case is to determine how those working with clients in their homes should manage clashes between their clients’ values, independence, and their need to be kept safe and healthy. How should Mdm Kwok’s values be respected? It is useful to begin by sweeping away any uncertainties about the values underpinning the care of older adults. Mdm Kwok is an articulate, thoughtful, humorous lady who has the right to exercise full control over the choices that she makes about her daily routine and treatment. Mistaken assumptions about her abilities or capacities made simply on the grounds of her age cannot be allowed to enter into the discussion. Equally, seeking to act benevolently to help her in a way that goes against her expressed wishes is wrong. This approach is aligned with Singaporean law, in particular the requirements of the Mental Capacity Act 2008. This law makes it clear that Mr Chu must presume that Mdm Kwok retains the capacity to make her own decisions, unless there is evidence that she is unable to do so. In this case, she has physical impairments that explain her need for support from the community team, but it is uncertain whether she is experiencing additional cognitive difficulties. At the same time, Mdm Kwok can talk openly about the decisions she is making about her life, even if Mr Chu thinks these decisions are unwise. If Mr Chu judges that Mdm Kwok retains the capacity to make these decisions then he must respect the choices that she is making, including her choice not to take her medications. Clearly, however, her decision-making capacity is something that Mr Chu ought to assess again in his future visits. How should Mdm Kwok’s needs be attended to? Whilst Mr Chu is clear that he should respect Mdm Kwok’s choices as part of his responsibilities as a professional caregiver, he is also right to point out that a home care service in which his client’s needs are not being met adequately is cause for concern. Social workers like Mr Chu face a real dilemma here. Respecting his patient’s values means increasing the risk of her exposing herself to harm. Whilst, at the same time, intervening to protect her from harm means taking proactive steps to restrict her choices. Resolving this tension depends on practitioners like him assessing risks correctly and taking into account information about the person’s wider support relationships. In this increasingly common scenario, community services should focus on strengthening professional, family, social, and personal support for people in Mdm Kwok’s situation. How might this happen in a case like this? Mdm Kwok’s niece has offered to relocate her aunt to Malaysia so that she can provide her with assistance in her daily activities. Mdm Kwok, however, remains fiercely independent and has no desire to move. It would be helpful for Mr Chu to sit down with Mdm Kwok and discuss how her niece might become more actively involved in her care, as well as continuing to discuss her medication needs with her. Financial support from her niece is of clear value, but steps should be taken to encourage Mdm Kwok to meet with her niece to discuss how care can best be provided moving forward. Another striking feature of Mdm Kwok’s situation is the close relationships that she retains with her neighbours, friends, and the wider community. She lives in a supportive environment and, with her permission, Mr Chu could take steps to meet her alongside her neighbours and friends to discuss whether this support could expand or whether it is only a temporary solution. More generally, both he and his service manager need to be attentive to changes to Mdm Kwok’s needs, observing closely any changes in her mental state and her abilities to take care of herself and maintain a sanitary living environment. A successful home care service needs to be forward-looking and it needs to use an older person’s wider family and social relationships as a springboard to support the person’s daily routines in ways that keep them safe, healthy, and engaged in the local community. Commentary by Dunn, Michael C., ‘A person-centred approach to providing care at home’, in Chin, Jacqueline, Nancy Berlinger, Michael C. Dunn, Michael K. Gusmano (eds. ), A Singapore Bioethics Casebook, vol. ii: Caring for Older People in an Ageing Society (Singapore: National University of Singapore, 2017), http://www.bioethicscasebook.sg. Who 'owns' the medical and social care of a person at home? Singapore, like most developed countries, has a healthcare system that was designed to address acute illness but, like Mdm Kwok, a growing number of older people in Singapore, however, are living with chronic illness, often multiple chronic illnesses. As a result, there is a mismatch between the organisation and goals of the healthcare system, and the needs of many patients. People living with chronic illness are frequently left to cope with the physical, psychological, and social consequences of their condition without ongoing help from a healthcare system. There is insufficient coordination among the medical, and between medical and social care professionals, caring for patients with chronic illness. This can create a dilemma for social workers like Mr Chu because it may not be clear how he can best address the needs of Mdm Kwok. It is not always clear who ‘owns’ the medical and social care of an older person living in the community with multiple comorbidities. For example, it is likely that the person is being treated by multiple doctors and has received prescriptions for multiple medications that may interact and lead to harm. To complicate the situation further, many older people use traditional Chinese medicine (TCM) along with western pharmaceuticals. This can become a problem if the clinicians caring for the patient do not know about all of the substances the person is ingesting because the chemicals in TCM treatments may also interact in negative ways with the person’s other medications. Beyond the problems of drug interaction, it is often difficult for older people like Mdm Kwok to manage all of these medications on their own. Geriatric social workers and other professionals trained to assess older people may be in a good position to assess the capacity of patients to maintain treatment regimens and to suggest approaches that may work better. This is why it is crucial for medical and social care professionals to have opportunities to work together in teams. To provide adequate support for people living in the community, it is important for medical professionals to work with the community-based social workers. There is often inadequate recognition within the healthcare system that social care and healthcare should be integrated. Although there are efforts to provide time-limited transitional care services activated by a hospital stay, it is more difficult to coordinate healthcare and social care for someone living with a chronic illness in the community. Programmes for older people living with chronic illnesses can be siloed from the communities where people live. The leaders of healthcare systems have to acknowledge the importance of social care organisations and aim to work with them. Commentary by Gusmano, Michael K., ‘Who “owns” the medical and social care of a person at home?’ in Chin, Jacqueline, Nancy Berlinger, Michael C. Dunn, Michael K. Gusmano (eds. ), A Singapore Bioethics Casebook, vol. ii: Caring for Older People in an Ageing Society (Singapore: National University of Singapore, 2017), http://www.bioethicscasebook.sg. Except for her sprightliness, everything about Mdm Kwok at first sight reveals an older woman struggling with life – the clutter in the flat, the smell of urine and mildew, the apparent inability to keep track of her own daily medication regime. This coupled with the sense that everything is hunky-dory would set alarm bells ringing for professionals in healthcare and social care. They may label Mdm Kwok as a ‘person at risk’ or ‘non-compliant’, and even ‘uncooperative’. But if we are attentive to what is said, and perhaps also how it is said, we will see in Mdm Kwok an independent and resilient spirit with a positive mind, trying to live her life as best as she can, and a woman who is much supported by those around her. 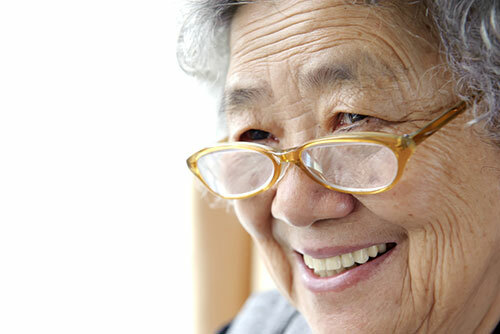 A good and comprehensive assessment is key to working with older people who are frail, like Mdm Kwok. The assessment gives a more factual and complete picture of the needs and wants of the client. We will have a better understanding of her experiences and the impact they have on her, her views of the world in which she lives, and her strengths and the strategies she uses to cope with daily living. Through this lens, we are presented a very different perspective of why Mdm Kwok has not been adherent to the medical advice given to her. In this light, we may also be able to identify her problems better and find appropriate solutions for them. Mdm Kwok appears to love life. She sees herself surrounded by people who love and support her and she enjoys the company of visitors. She sees the possibility of becoming stronger physically, so she diligently takes the herbal tonics she has been familiar with all her life. So why is she taking chances with her health by not following the instructions given on her medications from her doctor? The rejection of Western medication does not seem to be in character with the person the facts show her to be. There are a few questions we can ask ourselves as we work on this case. Firstly, does she really understand her own medical condition and, does she see that taking her medicines regularly is necessary for her well-being? Secondly, could it be that she simply cannot remember which medicines to take, and how frequently she needs to be taking them? Thirdly, does she have a disregard for western medication? Does she see herbal tonic as sufficient and western medication as redundant? These are three different but plausible hypotheses, and looking at them in this way would lead us to reframe the issue at hand. Reviewing her case with a fresh perspective directs us to a care plan on which we can work in hope of effecting behavioural change. The same may be said concerning the clutter in her home. Is this a preference from a life-long habit, or perhaps an expression of a wish to stay connected with her past? What value does Mdm Kwok give to each and every item of her belonging and how does she view herself at this point in her life? What does she hold dear and what is no longer important to her? If we are to see a person’s environment as an extension of his/her individuality, then Mdm Kwok’s home says something about her. A cluttered environment adds to health and fall risks to an old frail person, but to work on making significant changes to the home environment is an uphill task. It takes a reframing of the individual’s perception of ‘home’. What is needed then is not a rush of activities (e.g. getting volunteers and pest controllers in to clear and clean the space), but a great deal of patience in working at either a lifestyle change or gradually working towards detaching her identity and self-esteem from the objects in her life. It is a process that cannot be rushed and it requires that whilst we work at clearing the clutter, we need to support Mdm Kwok’s sense of identity and esteem at the same time. She needs to recover her own sense of value and contribution to life as she sees her physical environment transforming. With elderly people who are physically weak, healthcare professionals, whether doctors, nurses, social workers, or care support personnel, need to acquire and integrate person-centredness into their professional world views. They should look at the person and not simply the problems identified. It requires us to be humble, to appreciate the older person’s extensive life experiences and their tremendous resilience in living through old age. Most of all, it requires that we listen deeply and connect with the individual’s life energy. Practice Perspective by Peh, Kim Choo, ‘Working with a client with “non-adherent” behaviour’, in Chin, Jacqueline, Nancy Berlinger, Michael C. Dunn, Michael K. Gusmano (eds. ), A Singapore Bioethics Casebook, vol. ii: Caring for Older People in an Ageing Society (Singapore: National University of Singapore, 2017), http://www.bioethicscasebook.sg. Bevan, Gwyn and Katharina, Janus (2011), 'Why Hasn’t Integrated Health Care Developed Widely in the United States and Not at All in England?' Journal of Health Politics, Policy and Law 36(1): 141-164. Laugesen, M. J., & France, G (2014), 'Integration: The firm and the health care sector', Health Economics, Policy and Law 9(3): 295-312. Phan, T. P., Alkema, L., Tai, E. S., Tan, K. H., Yang, Q., Lim, W. Y., ... & Chia, K. S. (2014). ‘Forecasting the burden of type 2 diabetes in Singapore using a demographic epidemiological model of Singapore’, BMJ open diabetes research & care, 2(1), e000012. Schoen, C., Osborn, R., How, Sabrina K. H., Doty, Michelle M. and J Peugh (2008), 'In chronic condition: experiences of patients with complex health care needs, in eight countries 2008', Health Affairs (28)1): w1-16. doi: 10.1377/hlthaff.28.1.w1. Epub, Nov 13. Starfield B. (1994), ‘Is primary care essential?’ The Lancet, 344, 8930:1129-1133. Wagner, E. H., Austin, B. T., Davis, C., Hindmarsh, M., et al. (2001), ‘Improving chronic illness care: Translating evidence into action’, Health Affairs, 20, 6: 64-78. Wolff, J. L., and C. Boult (2005), ‘Moving beyond round pegs and square holes: Restructuring Medicare to improve chronic care’. Annals of Internal Medicine, 143, 6: 439-45. World Health Organization (ed) (2002), Active ageing – A policy framework. Geneva, Switzerland: WHO Available here. What are Mdm Kwok’s values as a person? Which of these values may be in conflict with her health and safety? When a person who is frail or chronically ill accepts community care, is it the healthcare professional’s obligation to try to change unhealthy behaviours, or is it more important to support the person’s choices? How should community care and healthcare organisations collaborate in serving the frail or chronically-ill in the community? Should one of their joint goals be to help these older persons avoid preventable emergencies, including hospitalisation? How would this work in practice?